i wynikiem HD A, B lub C.
with HD A, B or C and healthy elbows. All puppies born in our kennel are BAER tested. Canine Hip Dysplasia. 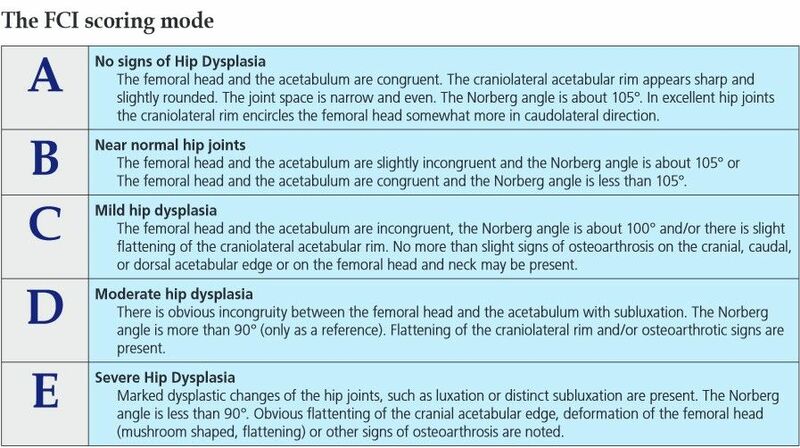 This is an inherited abnormality of the hip joint that can lead to arthritic problems later in life. Responsible breeders x-ray the hips of their breeding stock and evaluate their suitability for breeding. The current average for hip dysplasia in English Setters is about 24% affected, and the percentage is decreasing, due to responsible breeding practices. This disease is very complex and not well understood. There is no way to guarantee that you will not get a puppy with hip dysplasia, but you can maximize your chances for good hips by looking for lots of good hips in the pedigree. Nutrition and exercise also play a role in the expression of the trait. Affected dogs that are allowed to get too heavy or that do not get enough exercise may stand an increased chance of developing a disabling case of hip dysplasia. Elbow Dysplasia. English Setters also can develop elbow dysplasia. This is an inherited abnormality of the elbow joint that can cause lameness of the forelimbs. X-rays are the way to confirm a diagnosis. Other. English Setters have been susceptible to other health problems that the buyer need be aware. These problems, while not affecting a large percentage of the breed, are nonetheless present. These include canine hypothyroidism, a thyroid deficiency that is easily controlled through medication and diet. Allergies to pollen, flea bites, and molds are also known to affect English Setters. As in any allergic patient, medication and proper environmental control can keep the dog healthy and normal in all respects. Recently, the research of Canine congenital deafness has been joined by English Setter Breeders. Preliminary data suggests that approximately 10% of the breed may be deaf in both ears (bilateral deafness) or deaf in one ear (unilateral deafness). The positive diagnosis is confirmed by the Brainstem Auditory Evoked Response (BAER) test, which can be easily performed after the puppies are 5 weeks of age. While unilateral deafness is not preferred by breeders of show and field trial Setters, a unilateral dog will be normal in all other respects. However, unilaterally deaf dogs should not be bred, as they will pass on the defect.